Attic kantharos. 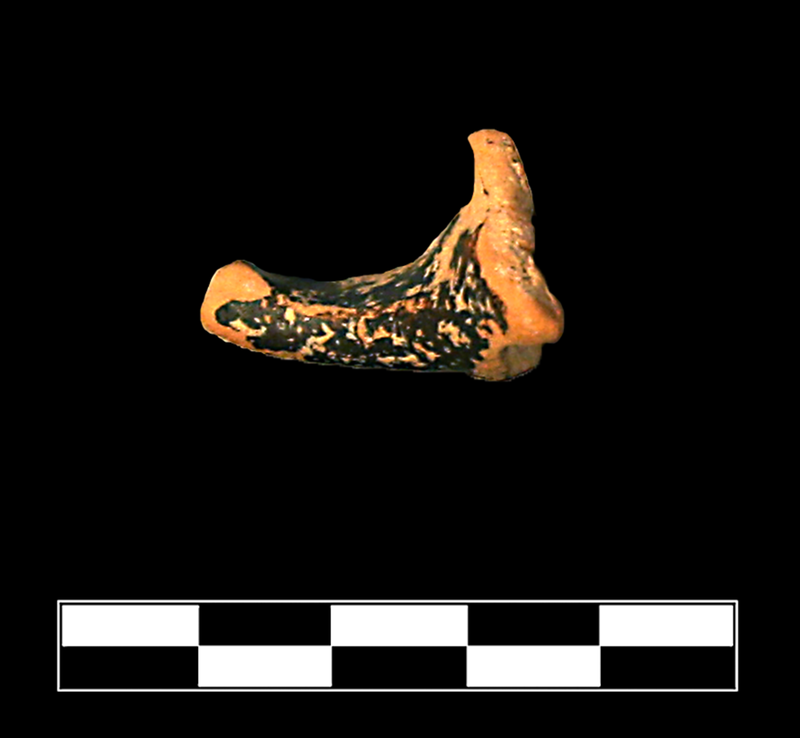 Trace of convex body below root; above, beginning of concave upper wall. Classical. Fine, soft clay with some tiny voids. Semi-lustrous black glaze overall. 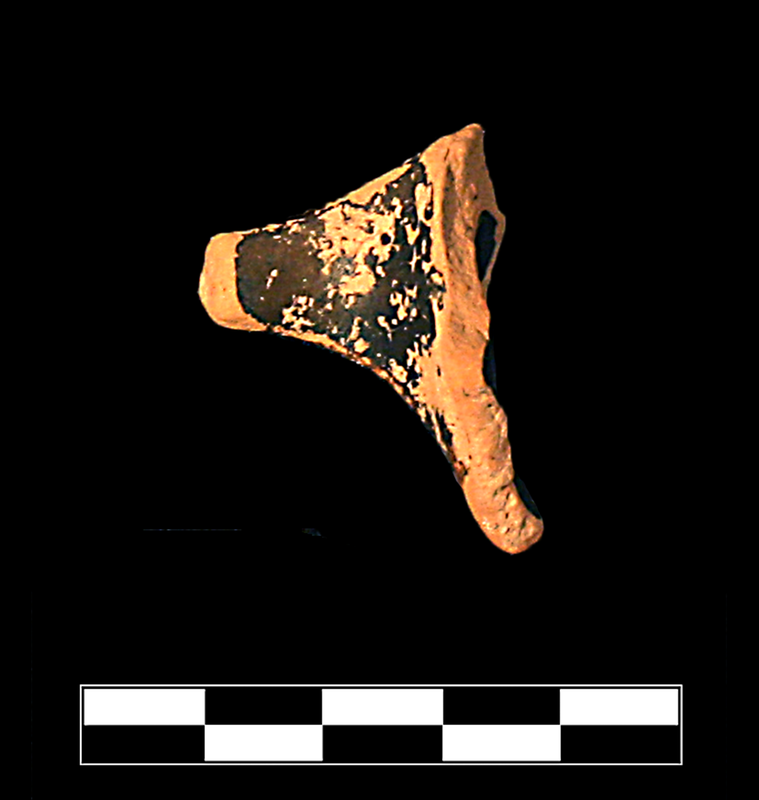 One small sherd preserves small part of body and one handle. Moderate, extensive abrasion and slight, extensive chipping and gouging, with worn breaks; numerous specks of encrustation.